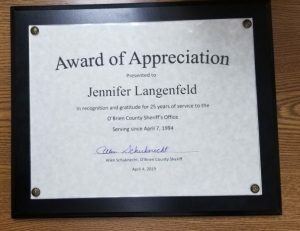 On April 4th Jennifer Langenfeld celebrated 25 years with the O’Brien County Sheriff’s Office. 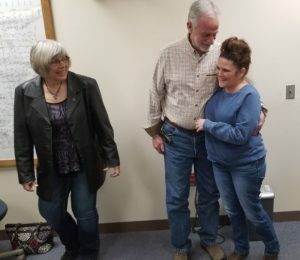 Her daughter, Molly arranged a surprise party that was attended by friends, family, and coworkers. 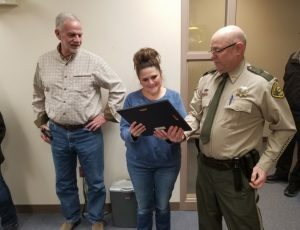 Jennifer has been a very valuable asset to the O’Brien County Sheriff’s Office. 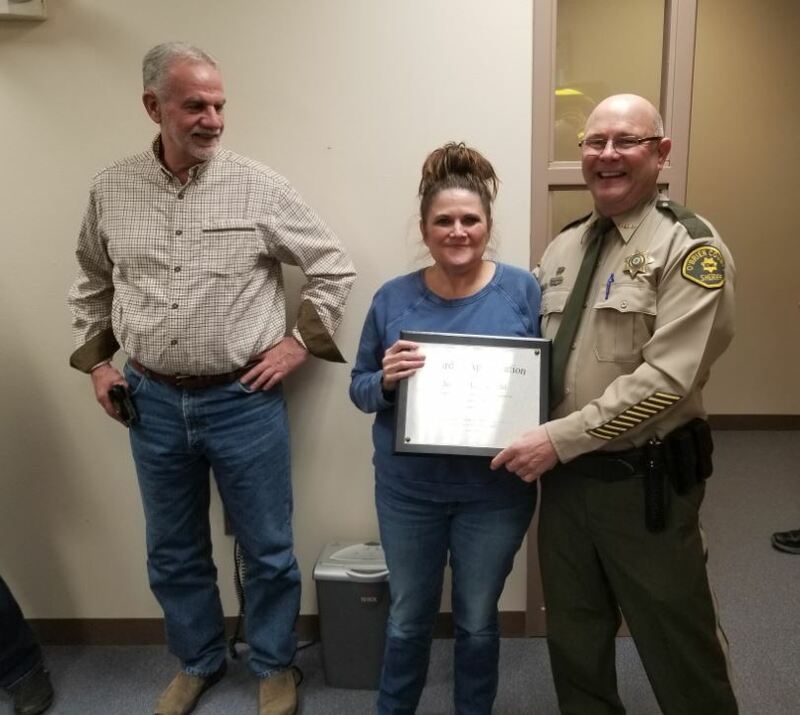 Her dedication and commitment to her job is reflected in her work. 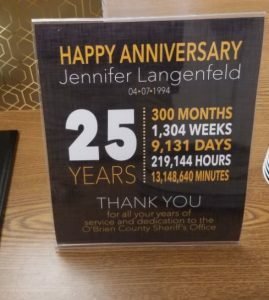 Thank you Jennifer for 25 years! Wow!!! That’s a lot of time!! 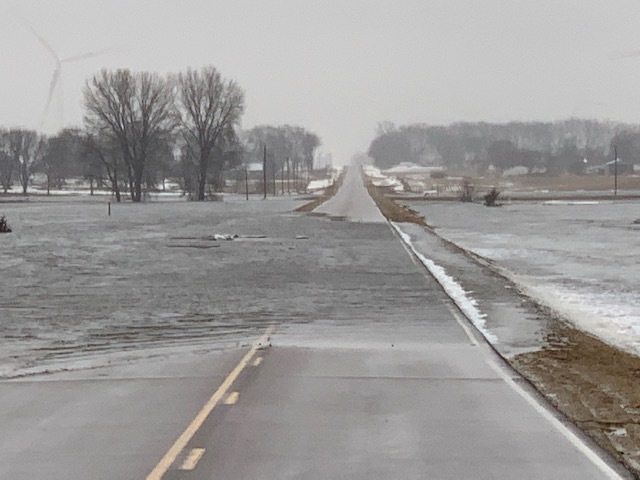 Water is starting to recede in the county and clean up is beginning. EMA Coordinator, Jared Johnson stated that there is a 45 day deadline for making applications. 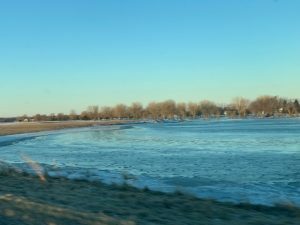 His concern is for those people that winter away from O’Brien County and may not be aware of damage to their home. If you know someone that has been gone for an extended time, reach out to them and make sure they have someone checking on their home. The end date for the Iowa Individual Disaster Assistance Grant Program is April 29, 2019. 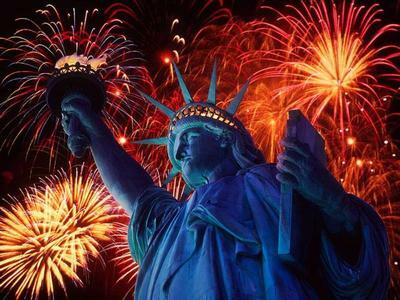 City of Calumet – no City Ordinance – Follow State law. The O’Brien County Sheriff’s Office has worked with the South O’Brien Elementary School to provide bike safety for over 25 years. 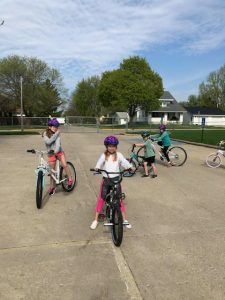 Primghar Community School wanted to have their third grade students receive proper bike safety and reached out to Sheriff Michael Anderson (retired) to help them. What started with Primghar Community School has continued with South O’Brien. 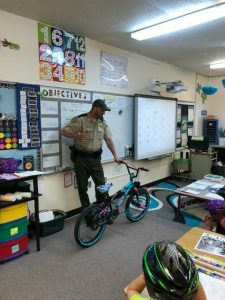 Deputies go into the classroom and give instructions on proper bike safety and using correct hand signals. In late 1990’s the Primghar Ambulance team approached the Primghar Jaycees to provide bike helmets for all third grade students. 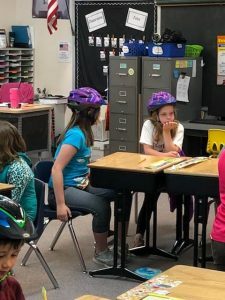 The helmets are purchased through Sheas True Value in Primghar and as part of Bike Safety Day each third grade student is fitted by Primghar Ambulance team members with a helmet. 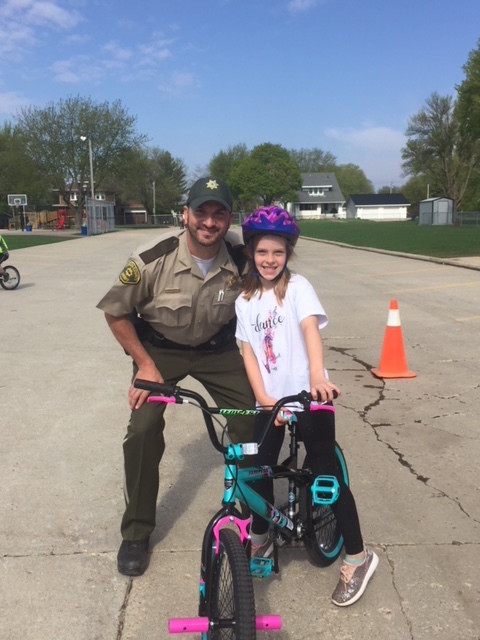 This year, Deputy Bradley Stevens and Deputy Timothy Rohrbaugh taught the bike safety class. 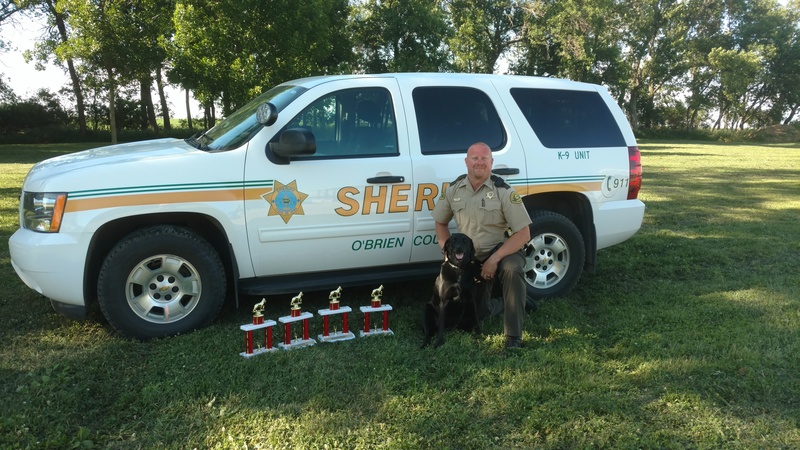 The O’Brien County Sheriff’s Office is proud to be a part of this great program. 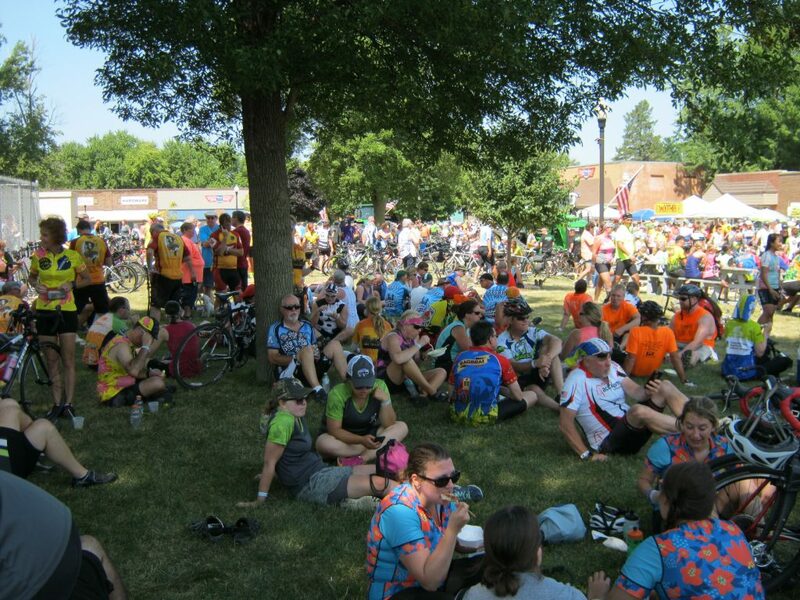 Pictured below are a few pictures from the day. 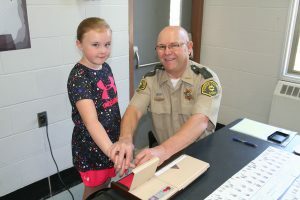 In the early 1980’s the Primghar Community School working with the Primghar Jaycees invited the O’Brien County Sheriff’s Office into the school to fingerprint the elementary students. 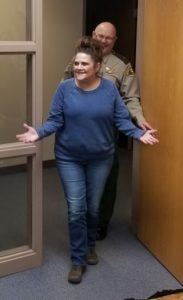 That first year, with parents permission the entire elementary was fingerprinted. 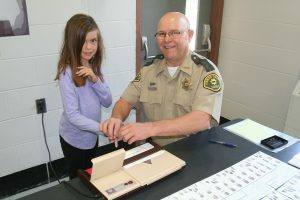 Each year after that, the second grade would be fingerprinted and any students that were new or had missed were fingerprinted. In the early years the fingerprints were stored in the First National Bank basement but now the prints are sent home with the parents for safe keeping. 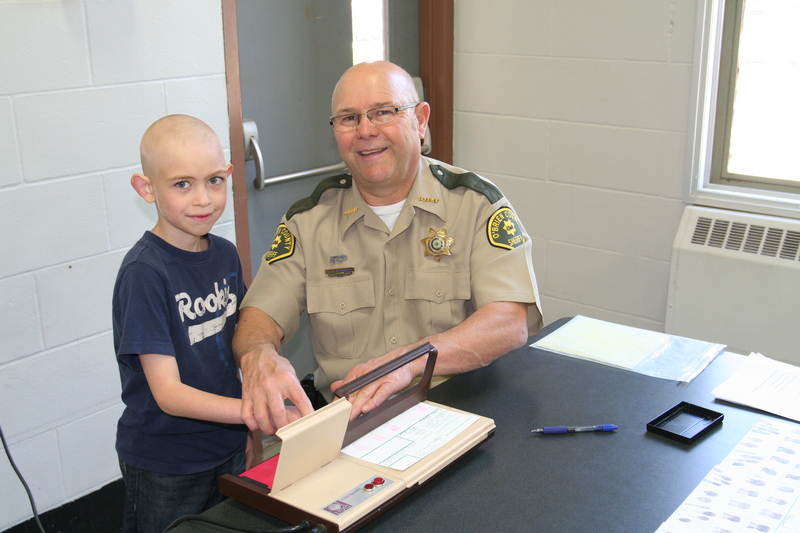 There has been one occasion where the fingerprints were needed to help identify a student that was involved in a traffic fatality. It’s that time of year again! 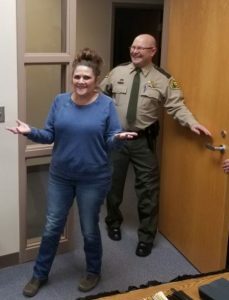 All of the excitement of going back to school brings new drivers on school permits, intermediate license drivers and lots of questions regarding the law. 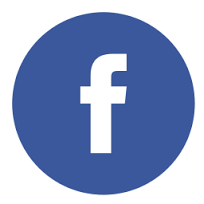 Please take a few minutes and visit the link below to help answer some of your questions. 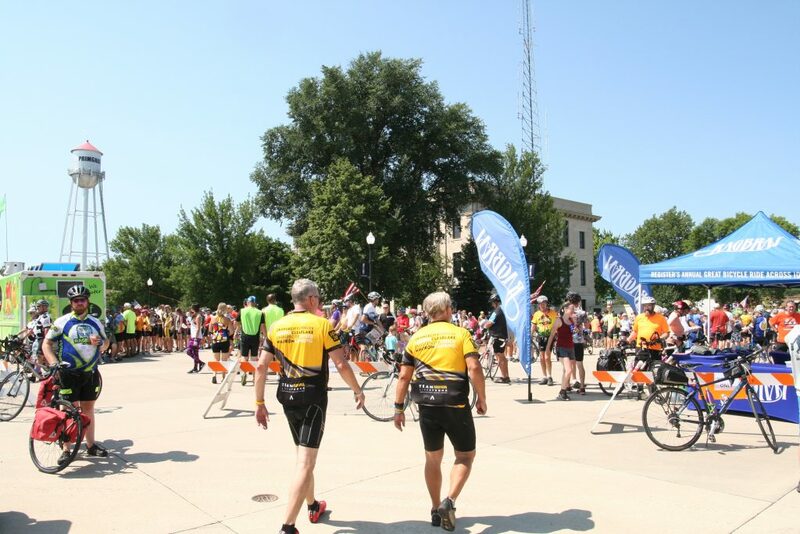 RAGBRAI (Registers Annual Great Bike Ride Across Iowa) came through O’Brien County on Sunday. 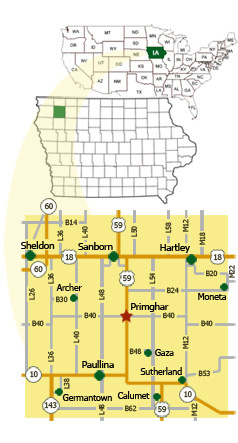 Traveling on Highway 10, the first town stop was in Paullina, they headed north to Primghar and then east to Hartley. 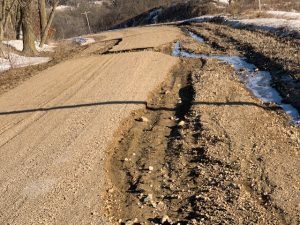 A gravel route also took some riders through Sutherland. 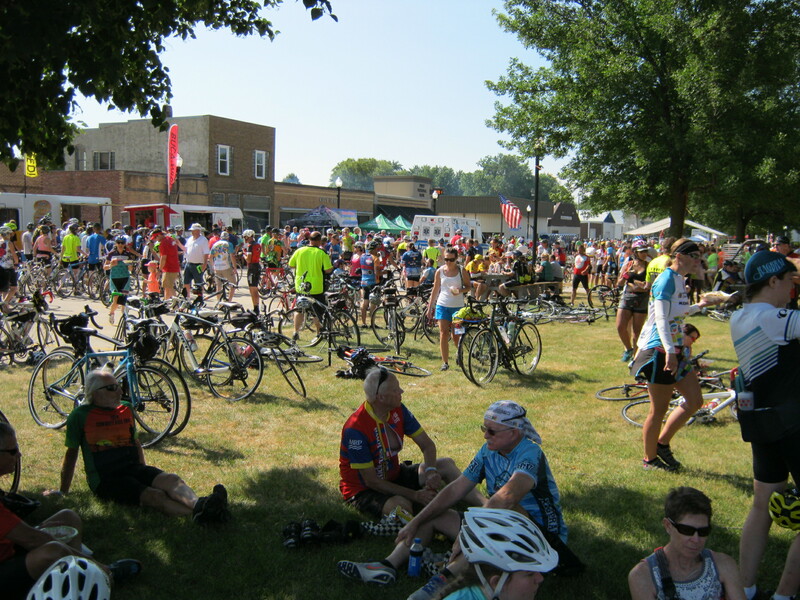 The weather was great and a good time was had by all. 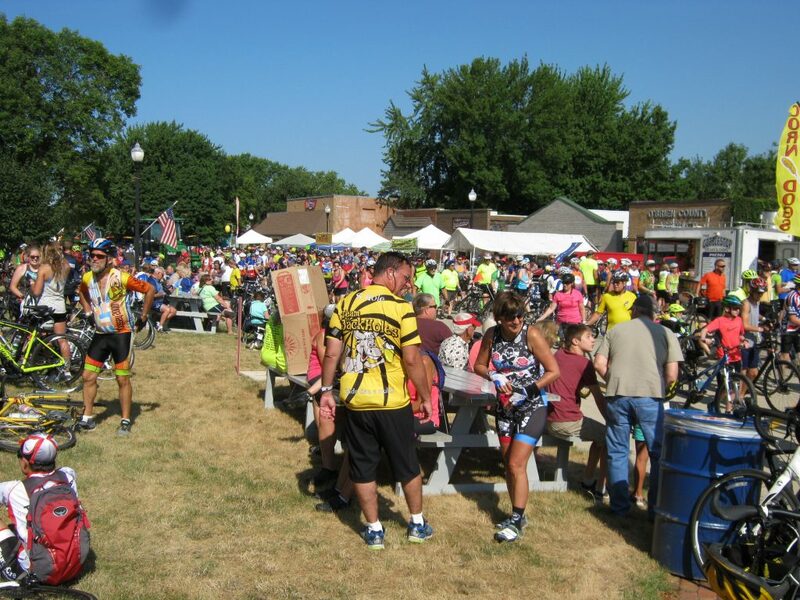 Each one of these towns put in a tremendous amount of time planning for this one day event and kudos to all the volunteers that put in so many hours. Here are a few pictures. Just the beginning of the riders. 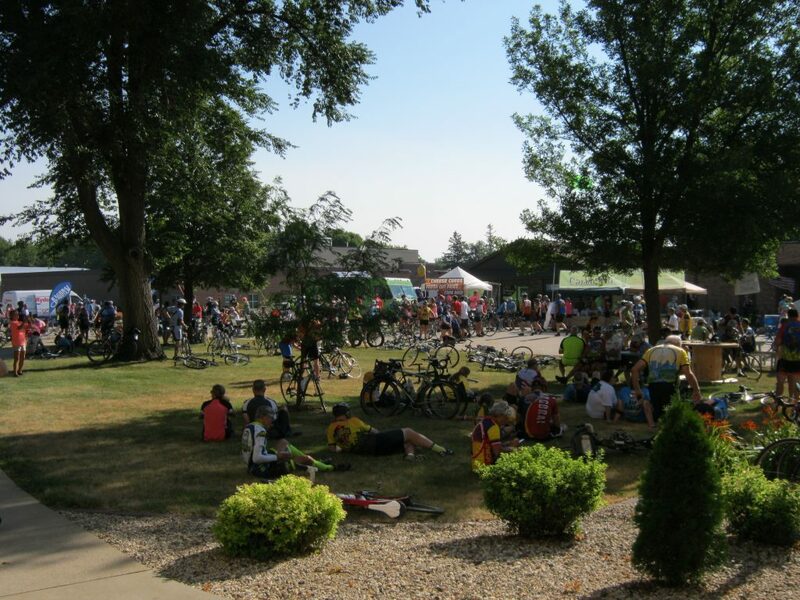 The Courthouse lawn was a popular spot to relax. Relaxing and enjoying the entertainment. 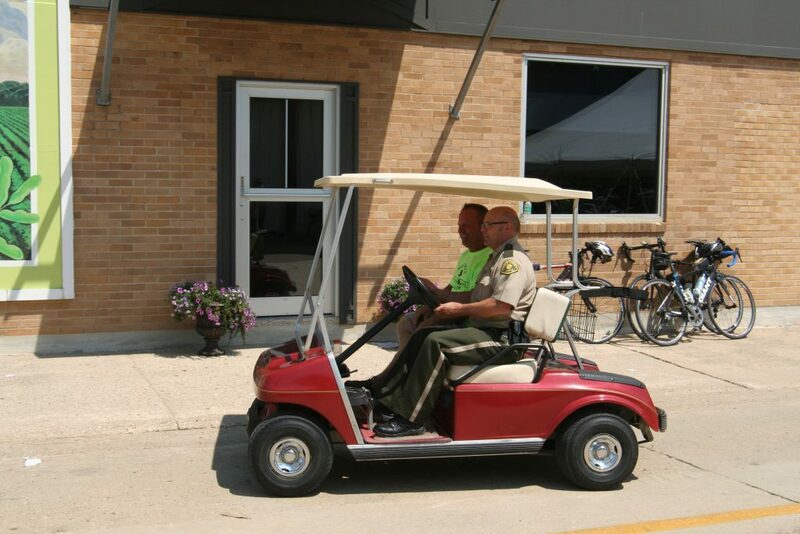 Sheriff Allen Schuknecht found the quickest way to navigate the congested streets was with a golf cart. Army Air Forces Staff Sgt. Byron H. Nelson, Missing from World War II, has now been accounted for. On April 25, 1944, Nelson was a member of the 721st Bomb Squadron, 450th Bomb Group, 15th Air Force, and was the nose gunner aboard an American B-24G Liberator bomber. While flying from Manduria, Italy, three aircraft became separated from the formation due to dense clouds. Nelson’s aircraft was one that disappeared. It was later learned that eight of the 10 people in his aircraft parachuted from the bomber after being attacked by German fighters. Six crewmen were able to successfully escape and two were captured. A captured crewman was told that two perished in the crash, one being Nelson. On September 9, 1947, the American Graves Registration Service disinterred remains from a cemetery near Fognano, Italy, where they were reportedly buried by local residents following the crash. The remains were unable to be identified and were re-interred as “Unknown X-190” in the Florence American Cemetery on May 26, 1949. 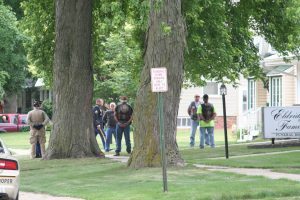 Due to new historical investigations and new technology that could link an identification to Unknown X-190, the remains were disinterred in August 2015. SSgt. 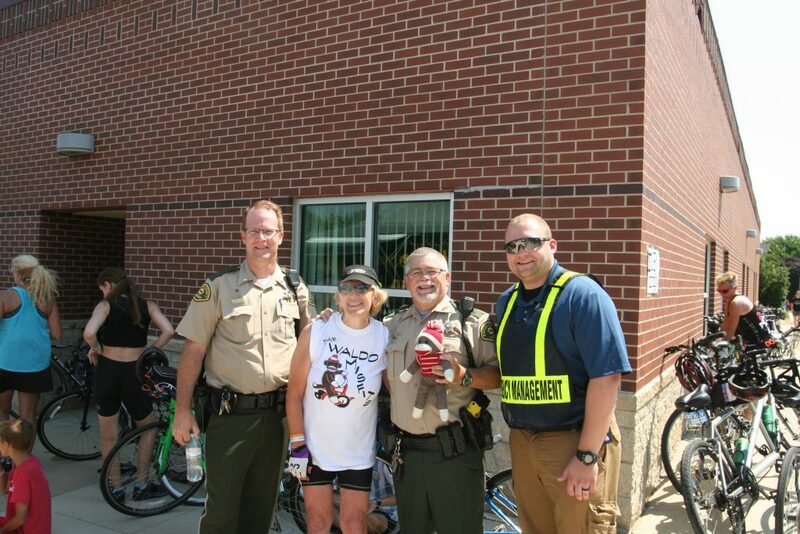 Nelson was escorted to Primghar by the Freedom Riders, Iowa State Patrol, and O’Brien County Sheriff’s Office. 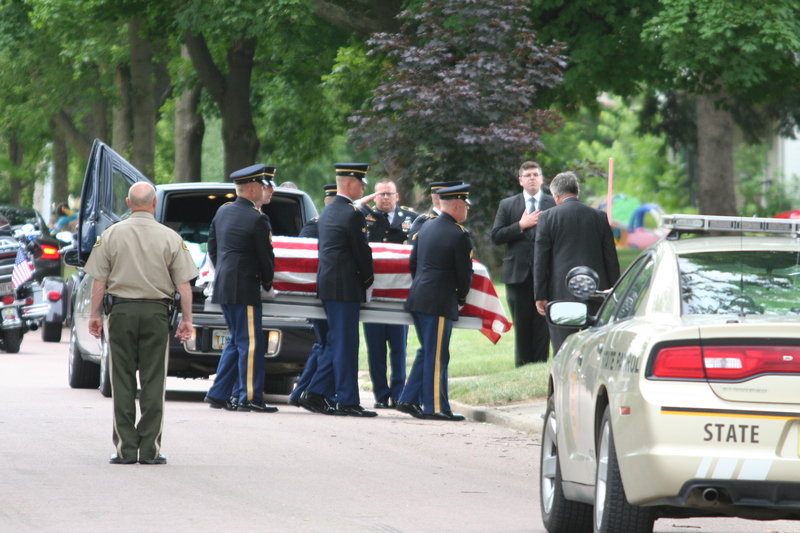 The procession was met by the Iowa National Guard Military Honor Guard. 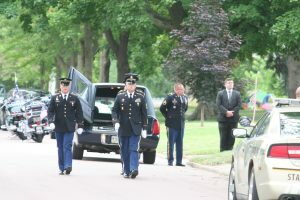 A memorial service will be held at the Pleasant Hill Cemetery, 5831 380th Street, Primghar on Saturday, July 1 at 1:30 p.m. with full military honors. 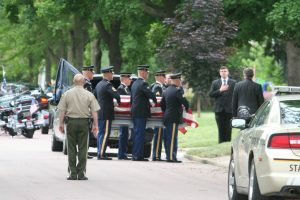 The family of SSgt. Byron H. Nelson will be at the Primghar Community Building, 215 1st Street. SE, following the service. Deputy Lee Reuvers and K9 Ella attended the 2017 Midwest Canine Alternatives K9 Trials at Camp Ripley, Minnesota. 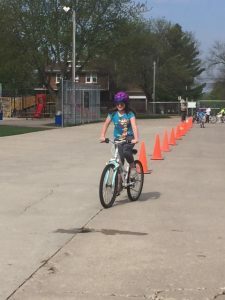 From May 14th through May 16th they participated in several events. Reuvers and Ella took 2nd place in Evidence Searching, 2nd place in Tracking, 2nd place in National Advanced Narcotics and 3rd place in Basic Narcotics. Congratulations Lee and Ella!